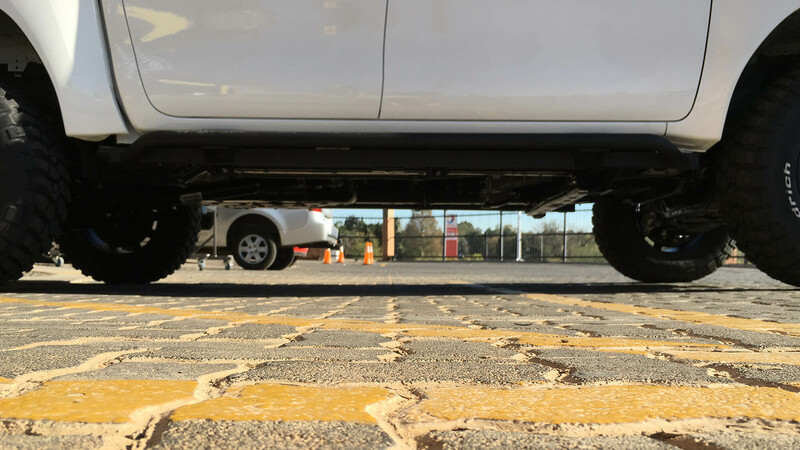 Our Rocksliders are manufactured from 3mm mild steel rectangular tube for the slider and 3mm round tubing for the step and side impact protection, which bolts directly on to your chassis using 6mm laser cut folded plate and high tensile zinc plated bolts. 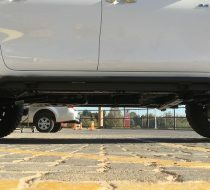 Each Rockslider is fitted with 2 x Hi-Lift Jack points. 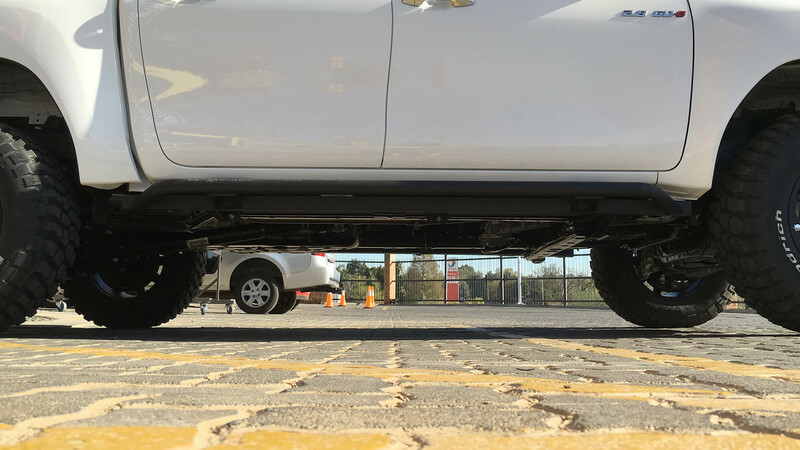 Our Rock sliders are finished in a hard-wearing matt black Powder coat. 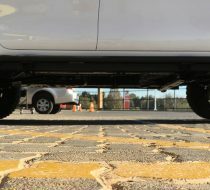 They are designed to be both practical as a full rock slider and yet still have our trademark mix of tough as well as the subtle styling we have become known for. 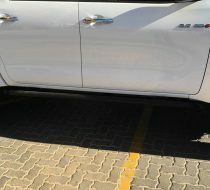 No vehicle modifications or welding are required to install our Rocksliders. 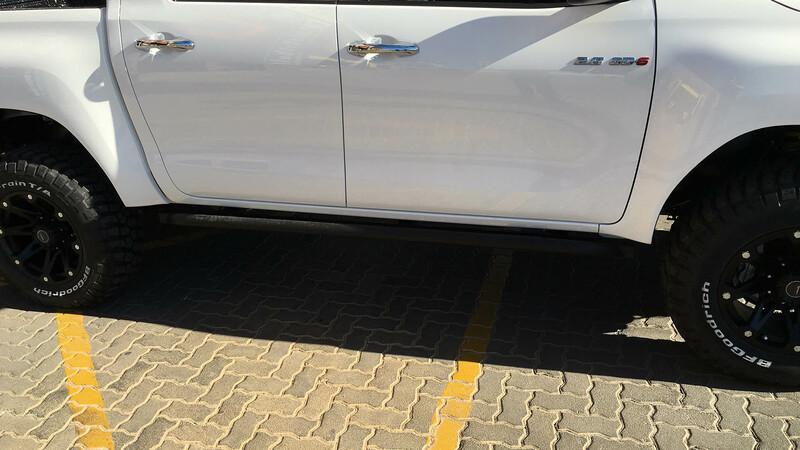 They protrude just enough to use as a step however their main purpose is vehicle protection with the added benefit of making your vehicle look tough.